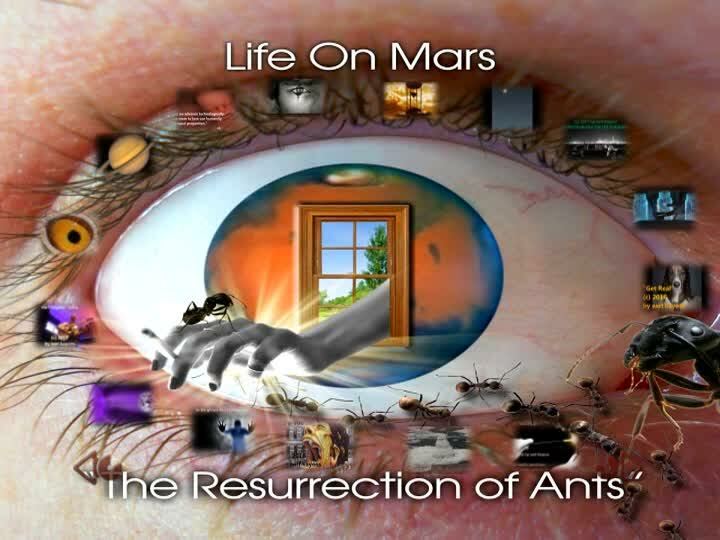 FOR IMMEDIATE RELEASE: Introducing "The Resurrection of Ants" - The first new recorded music from Life On Mars in two years. Available Friday, April 14th, 2017. Earl released his own debut album in 2009 called “Disarray.” An EP titled “Nancy’s Finger” along with his 2nd full length album “Beyond the Reach of the Infinite Mercy of God” followed in 2014. 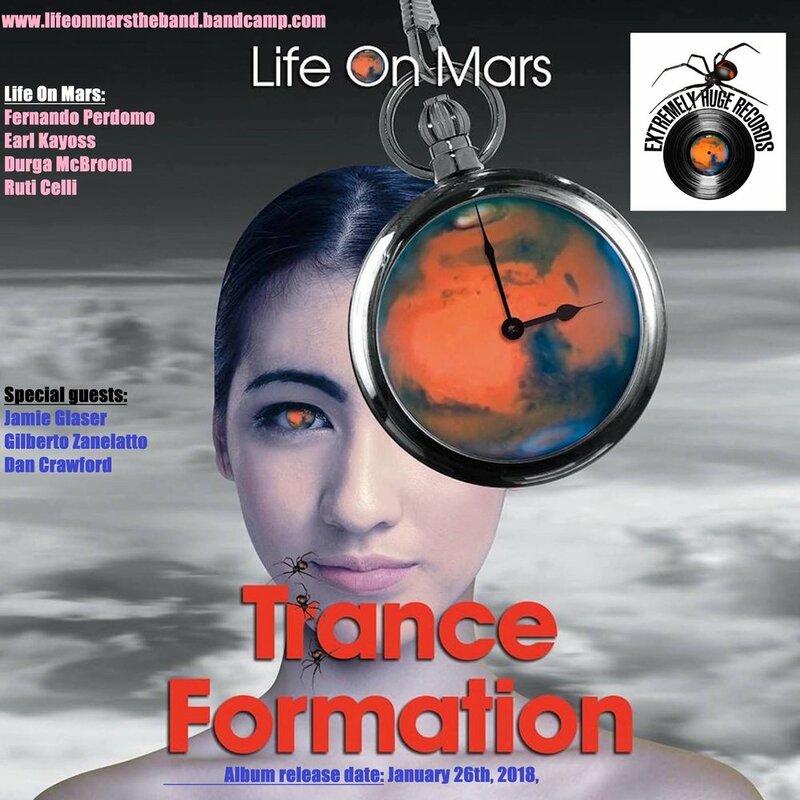 The band “Life On Mars” was formed in 2014 from a fateful collision between two worlds (Earl meets Fernando Perdomo) and consists of fellow ACR Management artist, Fernando Perdomo, who is both producer, engineer and artist on vocals, and most instruments. 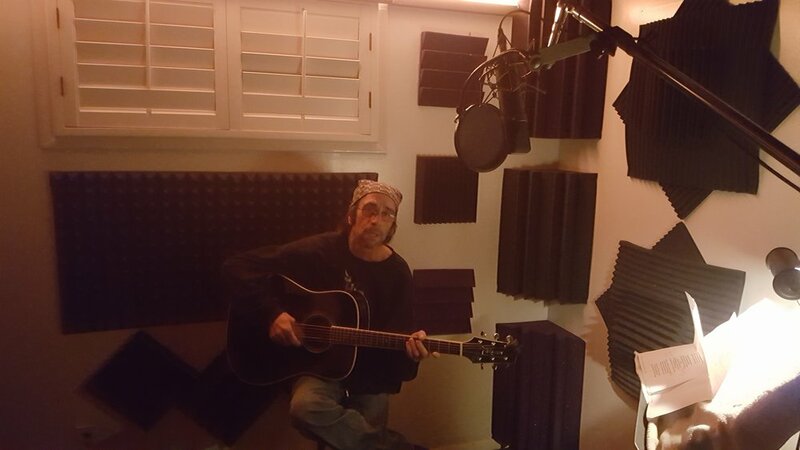 Earl is the principle songwriter and artist on vocals and guitar and piano. Life On Mars also features Durga McBroom (Pink Floyd) on lead and backing vocals. Another great artist recently added to the band, Ruti Celli, on lead vocals and cello. 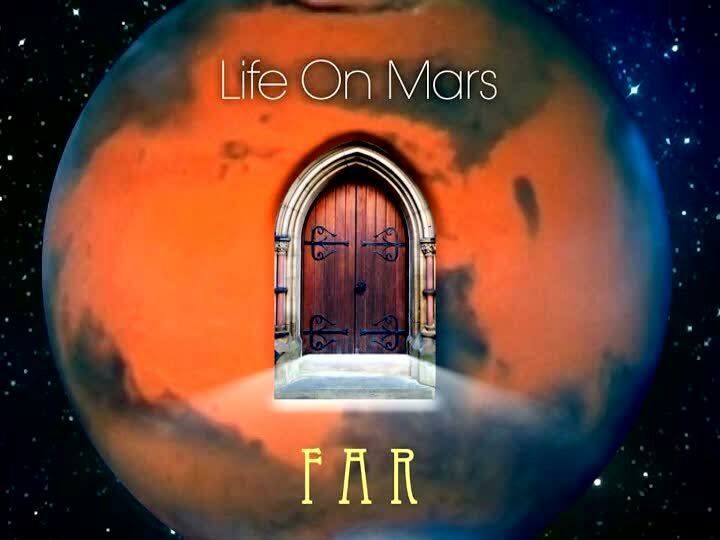 As the project “Life On Mars”, they released their debut 10-track album “Far” to critical acclaim in May 2015. Before embarking on the journey whose final destination was the Life On Mars album "The Resurrection of Ants", I wondered what it was that my most-loved bands had in common. Why were these bands and their songs my favorites, my influences over the decades. I realized it was two things they all had in common. The first being the most obvious... they each had uniquely gifted musicians whose uniqueness was the biggest contribution to the songs that made the songs what they were... great songs. The second took some thought. I finally realized that these bands all had the ability to run the entire spectrum of the song range and... get away with it. It was still "them" no matter how far and wide the songs themselves ranged in style, structure, and intent. The Beatles could do "Blackbird" and "Helter Skelter... it was still The Beatles. Led Zeppelin could do "Going to California" and "Kashmir"... it was still Zep. David Bowie explored and delivered the entire spectrum of the capability of songs throughout his entire career. Everything fit together, everything was ONE with these bands, no matter how far the songs themselves differed from one another. There's a lot of absolutely great bands you could never say that about... they had their "niche" and they stayed within those walls with their songs, never venturing outside those walls. With the Life On Mars band, I had the uniquely gifted musicians. 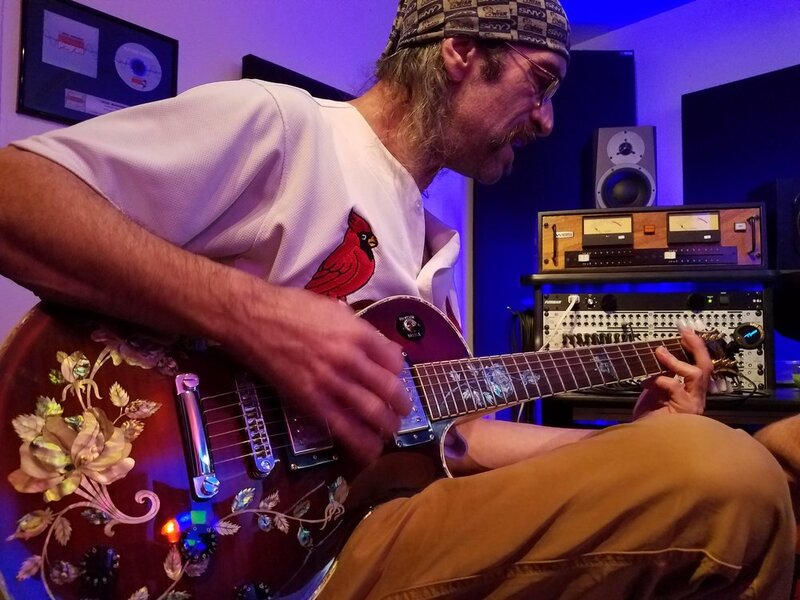 I added the diversity of songs and let the players have at them and add their uniqueness to my songs. 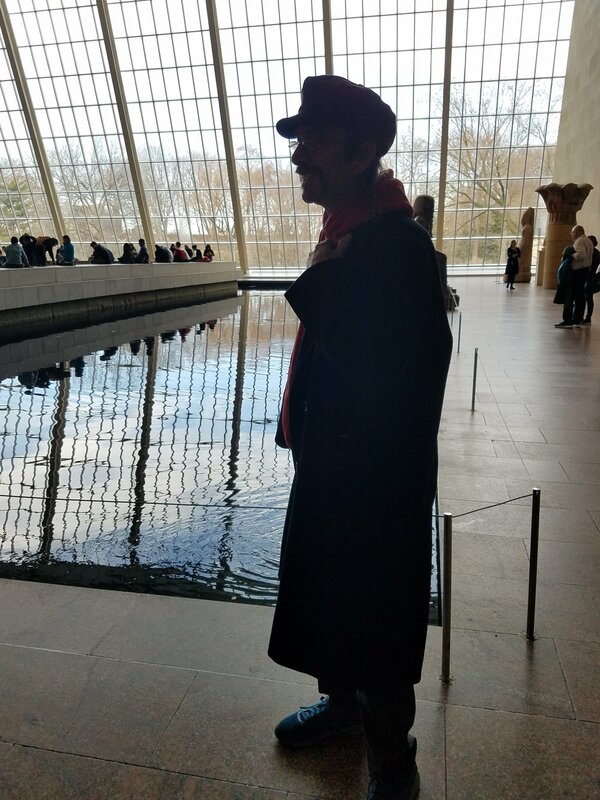 I believe I created an album in the likeness of my most-loved bands... an album with unique and great musicians and... songs that are diverse but they are still Life On Mars, they are still Earl Kayoss, they all go together seamlessly to form one single work of art. Nothing seems out of place at all. - ek. 15 new studio recordings from Life On Mars. Compact Disc (CD) is available with 2 different cover art choices. Digital Download is available on all major music platforms. Digital Lyric Book is available upon request in PDF or Word Document Files. Available Friday, January 26th, 2018. 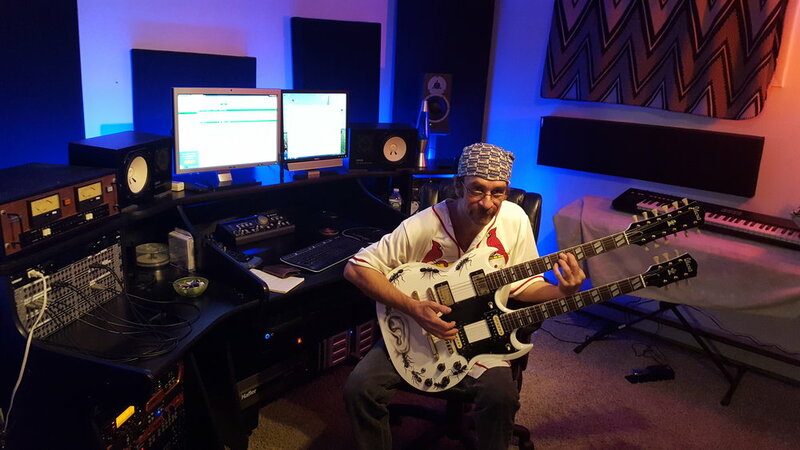 From The Bronx, New York, prolific songwriter and musician Earl Kayoss has written over 700 songs and his website is called, rather appropriately Over700Songs.com. 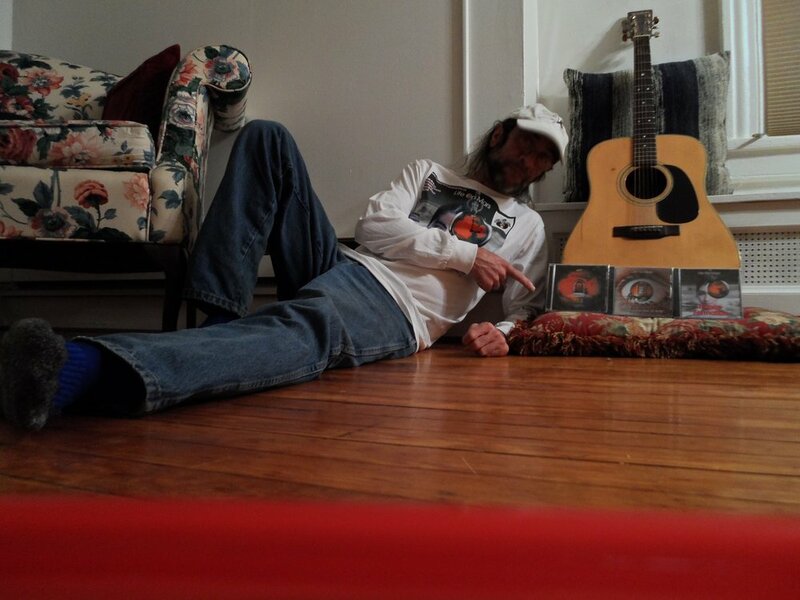 Earl is an ASCAP registered songwriter and his publishing company is “Vindictive Cat Ltd. Earl released his own debut album in 2009 called “Disarray.” An EP titled “Nancy’s Finger” along with his 2nd full-length album “Beyond the Reach of the Infinite Mercy of God” followed in 2014. The band “Life On Mars” was formed in 2014 from a fateful collision between two worlds (Earl meets Fernando Perdomo) and consists of fellow ACR Management artist,Fernando Perdomo (Jakob Dylan/Ken Sharp) who is both producer, engineer and artist on vocals and most instruments. 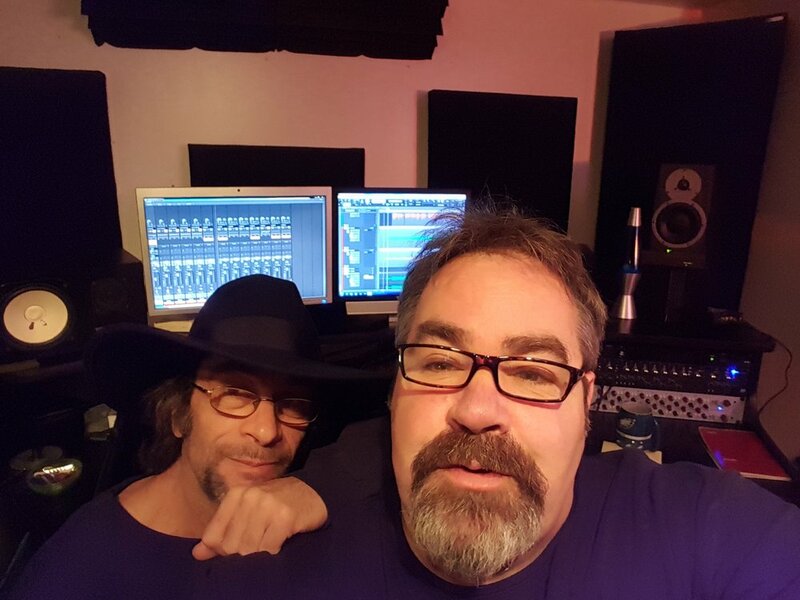 Earl is the principle songwriter, producer and artist on vocals, guitar and piano. 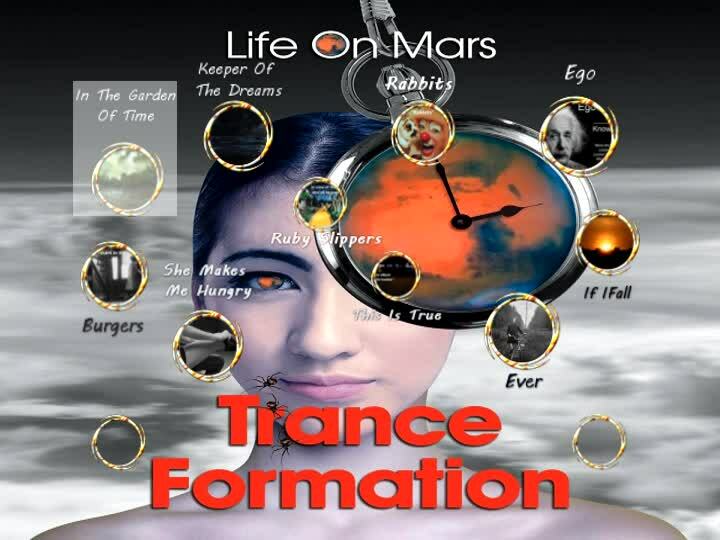 Life On Mars also features Durga McBroom (Pink Floyd/Blue Pearl) on lead and backing vocals and Ruti Celli on lead vocals and cello. 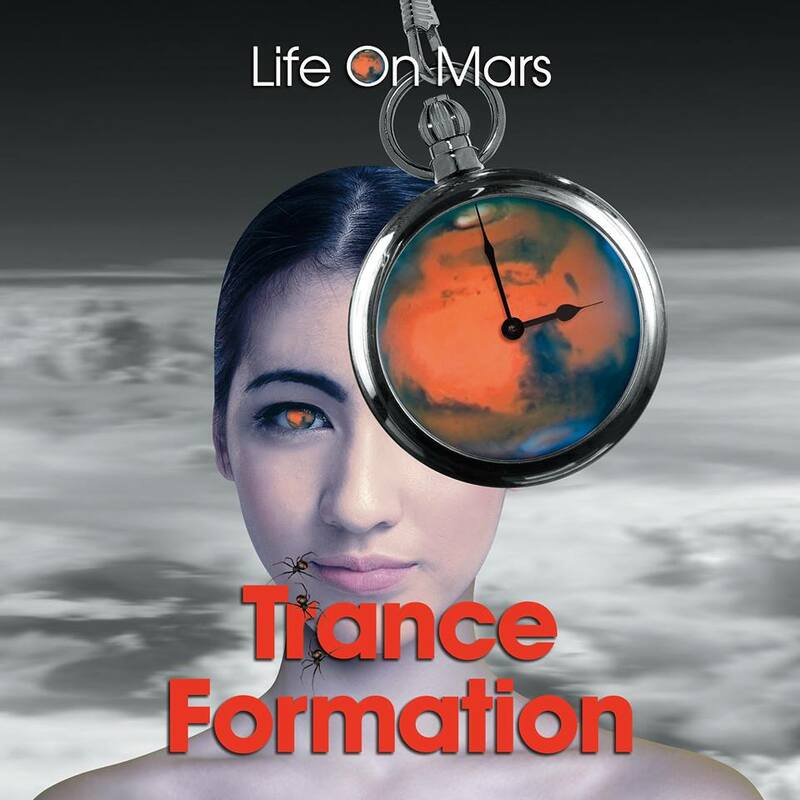 As the project “Life On Mars", they released their debut 10-track album “Far” to critical acclaim in May 2015. 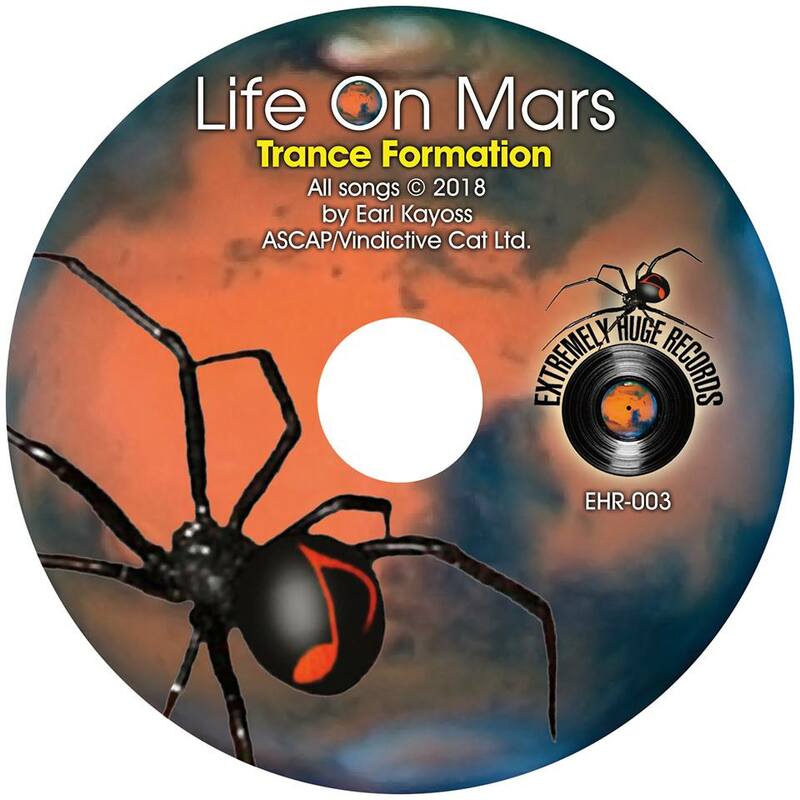 That was followed by the 15-track album "The Resurrection of Ants" in April 2017. "Full of spacious ambient melodies, beautifully psychedelic instrumentation, and seriously heavy duty rock. 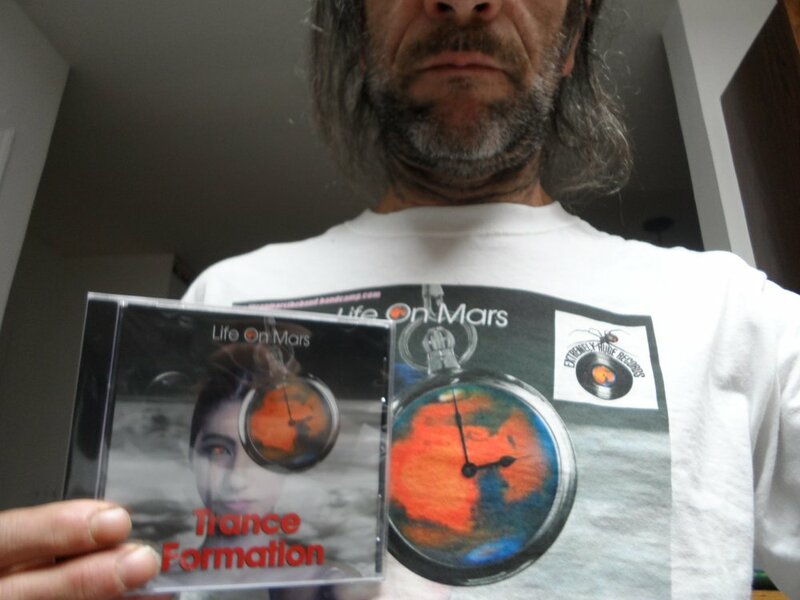 The lyricism separates Life On Mars from so many prog acts - the band ROCKS and at the same time still gives traditional prog a right kick in the arse throughout the 64 minutes of this brilliant album." 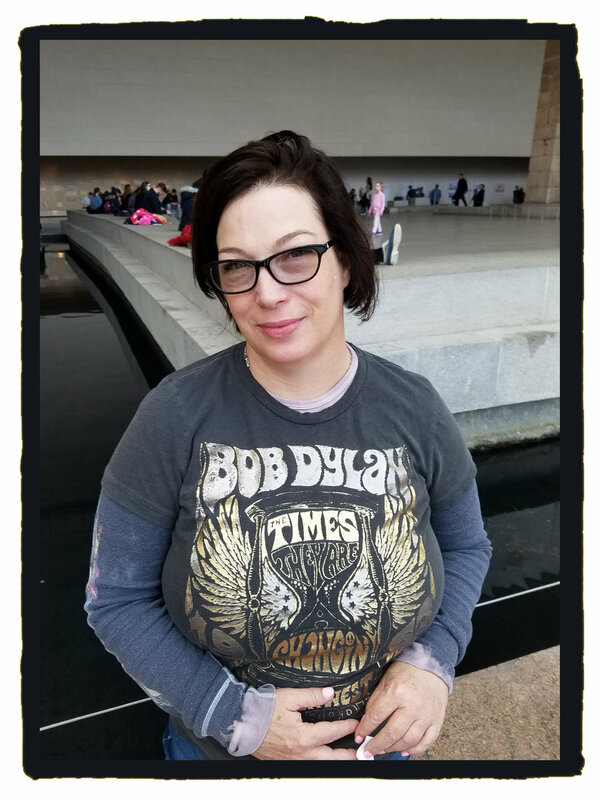 - David Tolar's The "TOP 20 ALBUMS OF 2017" list. Features special guest appearances from the legendary Jamie Glaser (Bryan Adams, Anderson Ponty Band, Chick Corea, Manhattan Transfer, Jean-Luc Ponty) on guitar, Dan Crawford on keyboards and Gilberto Zanelatto on violin. 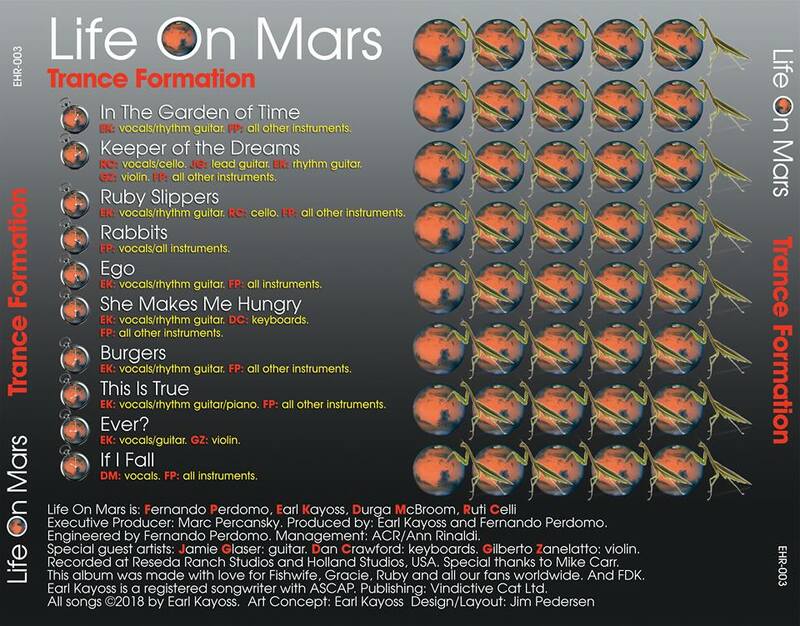 The title of the new Life On Mars album is an obvious play on words. 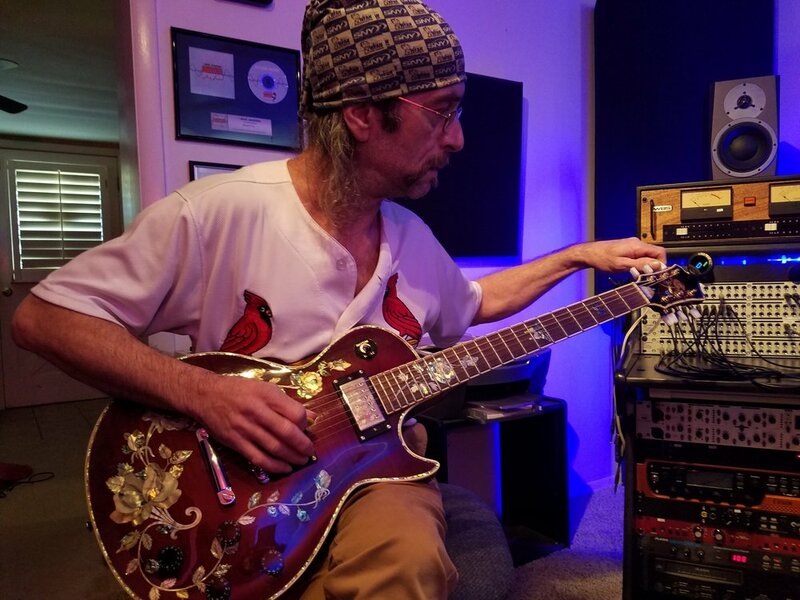 It is the transformation of my songs going from being written cross-legged on the floor in my pajamas to the fully produced versions that appear on all 3 Life On Mars albums that I find extremely interesting and gratifying in the end. 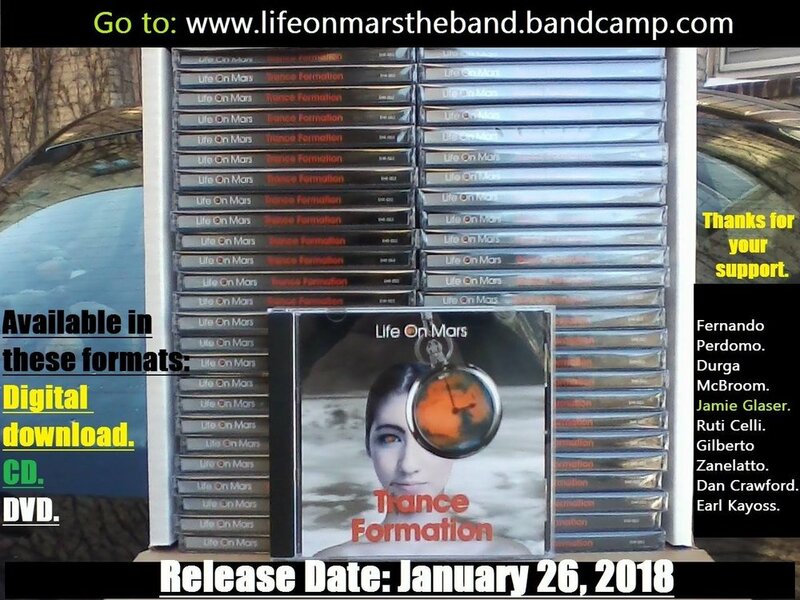 I have written over 700 songs and 34 of the 35 recorded Life On Mars songs in existence are mine with the exception of “Home” written by Fernando Perdomo which appears on “The Resurrection of Ants” album. 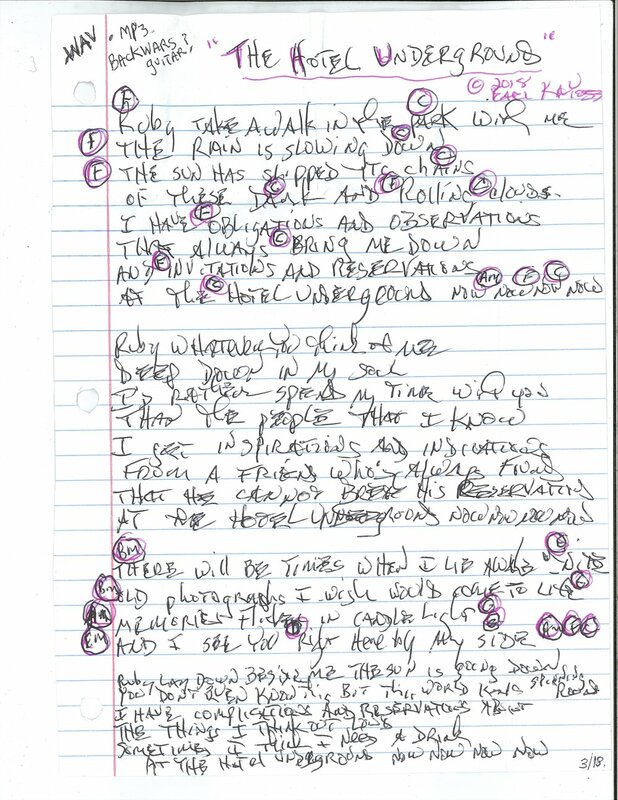 I have written the lyrics first for all 700+ songs because they are the most important part of songwriting for me. The music springs forth from the lyrics, the music and lyrics are one thing to me... intertwined. I am the only one to see the songs come in out of the great void... and into existence. That is an amazing part of the transformation for me. 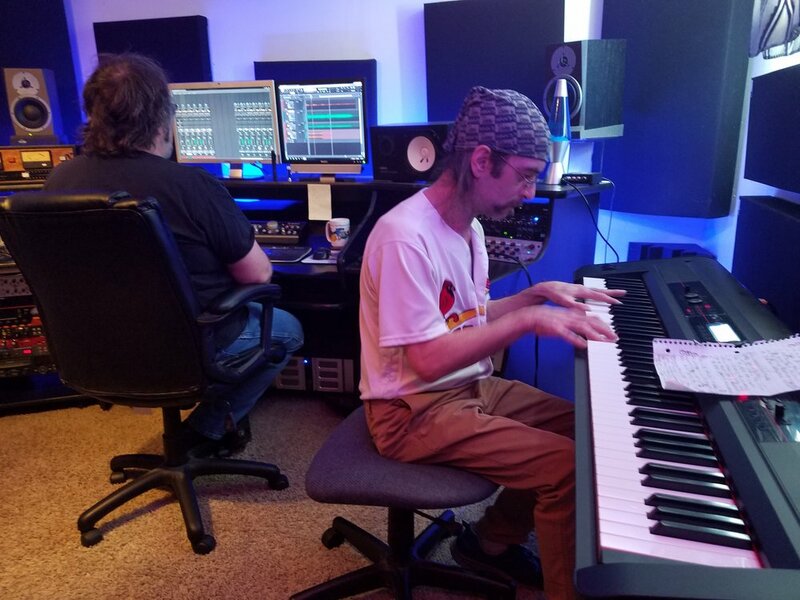 Most songwriters, only let the fans hear the final produced versions of their songs but I consistently show my songs to the audience in various stages of their existence. I show them from their absolute most primal stages (moments after I have written them) all the way up to the final produced versions. I do this in the hope that they will understand the process of songwriting and how songs evolve. 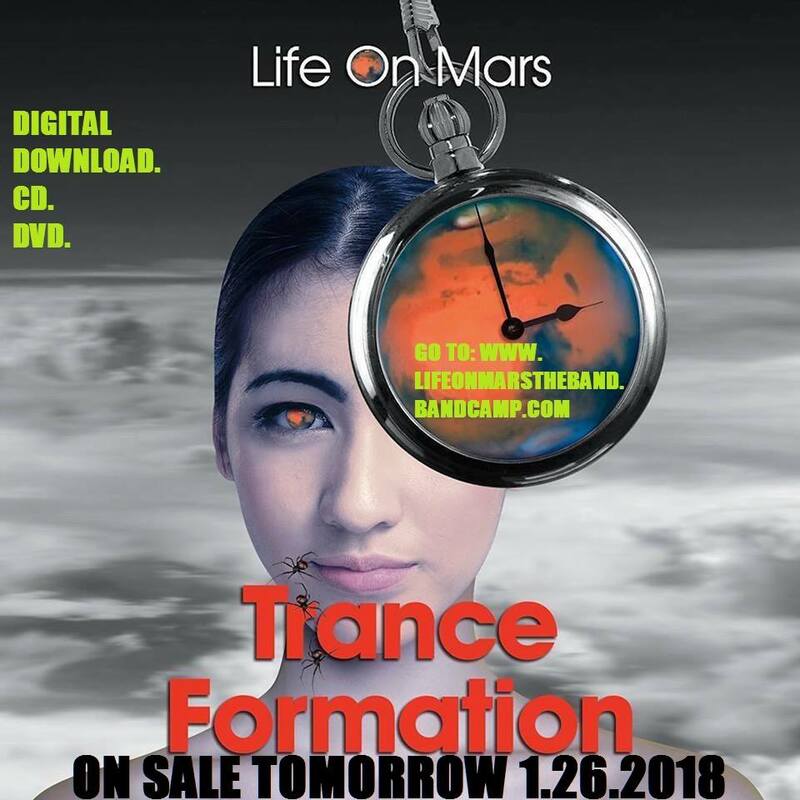 “Trance Formation” contains 10 songs that I am extremely pleased with in regard to their transformation... so much so that I wanted to elude to that in the titling of the album. McBroom, Ruti Celli, Gilberto Zanelatto and Dan Crawford. It’s an honor for me to work with each of them. 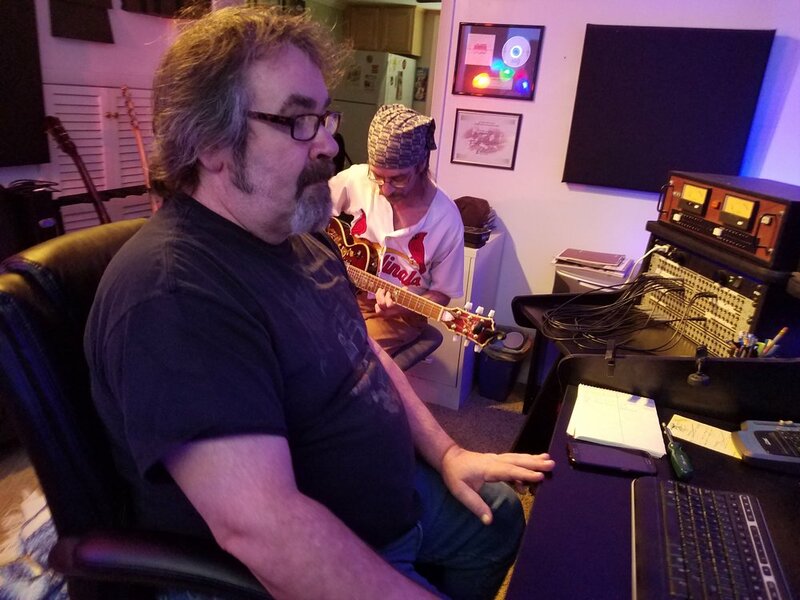 Whether or not folks like my style of songwriting or... the genre of the music, if they know anything at all about music, they will have great respect for the performances given on “Trance Formation”. Parts of our lives are in these songs. I hope planet Earth gets to hear them. I can safely assure you there certainly IS... Life On Mars. - ek. 10 new studio recordings from Life On Mars. Release Date: 1.26.2018. 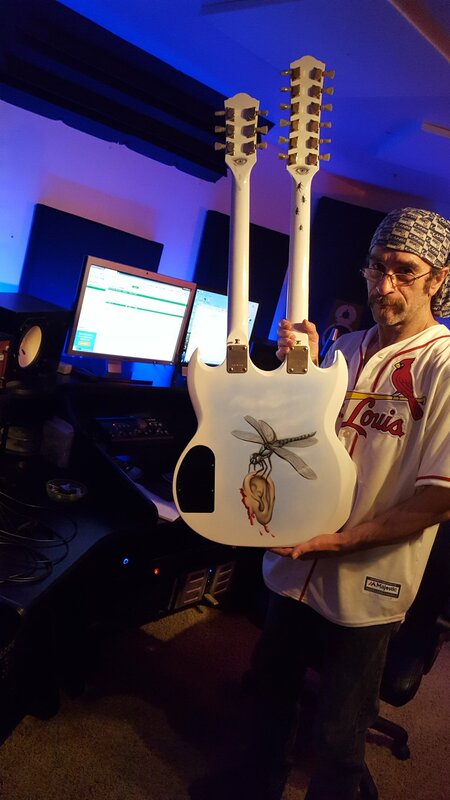 Focus Tracks for Blogs, Critics, Internet Radio and Airplay are #1, #2, #5, #6. 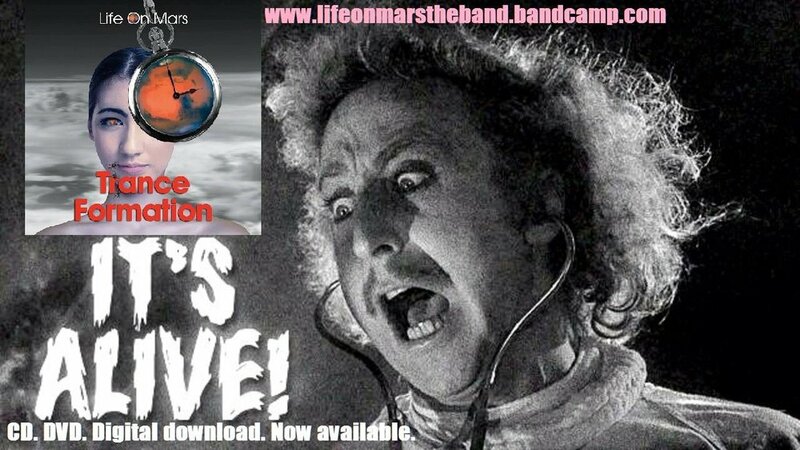 Compact Disc is available on Bandcamp along with limited edition free bonus Promotional Items and DVD's. Digital Download is available on 50+ major music platforms. Release Date: 2.7.2018.